CRANBURY, N.J.--(BUSINESS WIRE)--Pharmacy Times Continuing Education™ (PTCE), a leader in continuing education (CE) for community, health-system, managed care and specialty pharmacists, launches “Examining Hyperhidrosis (Excessive Sweating): A Managed Markets Update on New Treatments, Featuring a Patient Perspective.” This video segment is a CPE supplement of The American Journal of Managed Care®. Thomas is a writer, patient leader and hyperhidrosis advocate. At the age of 7, she started experiencing symptoms of excessive sweating and her condition was officially diagnosed at 21. She launched her blog in 2011, and she is on a mission to create hyperhidrosis hope and awareness one drop at a time by empowering other patients affected by this condition to use their voices to spread awareness about hyperhidrosis. Designed for managed care professionals, pharmacists, pharmacy benefit managers and pharmacy directors, Thomas’s video will provide an overview of the pathophysiology of hyperhidrosis, daily living with hyperhidrosis, treatment options, access to hyperhidrosis care and impact on quality of life. 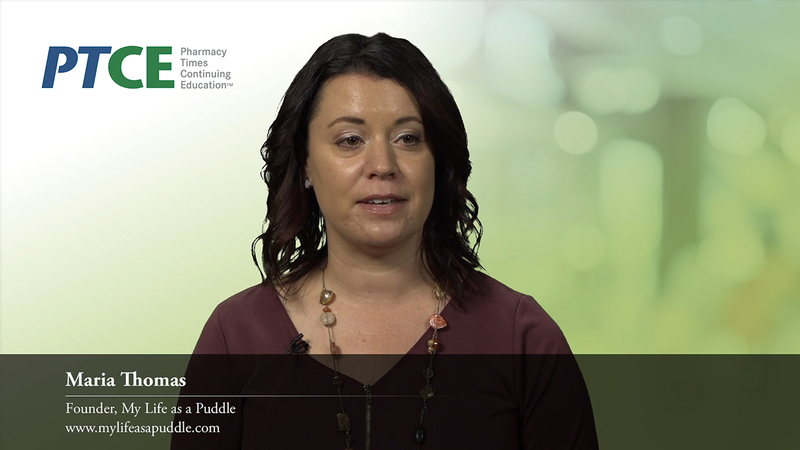 The activity is accredited by the Accreditation Council for Pharmacy Education for 2.0 contact hours and is supported by educational funding provided by Dermira, Inc.
For more information and to view the patient perspective video segment, click here. Pharmacy Times Continuing Education™ (PTCE) is a leader in continuing education for retail, health-system, managed care and specialty pharmacists. PTCE is accredited by the Accreditation Council for Pharmacy Education as a provider of continuing pharmacy education (CPE). PTCE’s print, online and live CPE activities are designed to help improve the knowledge, competence and skills of pharmacists so they are better prepared to provide the highest quality of pharmacy care to the patients they serve and to the physicians they assist as part of a multidisciplinary treatment/management team. To learn more about the educational activities sponsored by PTCE, visit our website at https://www.pharmacytimes.org/. The American Journal of Managed Care® (AJMC®) is a peer-reviewed, MEDLINE-indexed journal that keeps readers on the forefront of health policy by publishing research relevant to industry decision-makers as they work to promote the efficient delivery of high-quality care. AJMC.com is the essential website for managed care professionals, distributing industry updates daily to leading stakeholders. Other titles in the AJMC® family include The American Journal of Accountable Care® and two evidence-based series, Evidence-Based Oncology™ and Evidence-Based Diabetes Management™. These comprehensive offerings bring together stakeholder views from payers, providers, policymakers and other industry leaders in managed care. To order reprints of articles appearing in AJMC® publications, please contact Gil Hernandez at 609-716-7777, ext. 139.